Back in November, I asked here if Google could please add map details outside the US and UK on Google Maps, and from this week it has finally happened: most of Europe’s street maps are now available. 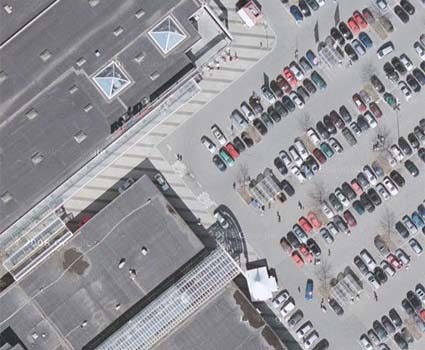 In addition, Google Maps received a huge satellite update. 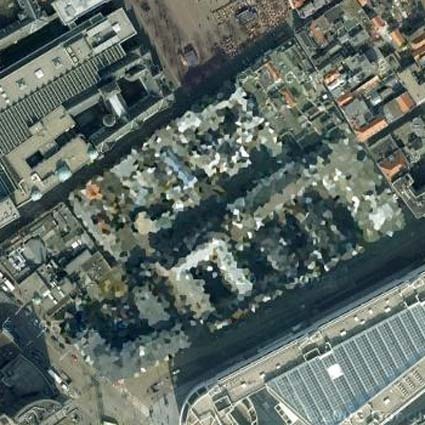 Google announced today that they have obscured several strategically sensitive buildings in the Netherlands some Dutch buildings on Google Maps are obscured. The Dutch government censored the images as a condition for letting the aerial imaging company, Aerodata, take the images that were then used by Google. This entry was posted on Thursday, April 27th, 2006 at 3:13 am CET and is filed under Science & technology, Websites & Tools	with tags . You can follow any responses to this entry through the RSS 2.0 feed. You can leave a response, or trackback from your own site. Google didn’t censor the images. The Dutch government censored them as a condition for letting the aerial imaging company, Aerodata take the images. Aerodata then sold censored images to Google. Thanks for pointing that out, Stefan. I have updated the post.